EDIT: Okay I screwed up! I meant to publish this on Monday (13th March) but accidentally clicked on Monday 6th March so it all messed up and you can see most of the post in your feed anyway!!! So I might as well publish it now. Sorry! Consider this as Monday’s post come early! Hi everyone! Totally not a click bait title, I promise. I’ve done this myself. Tried and tested. I won’t even ramble too much about it- let’s just get right into it and start expanding your audience and getting more page views! This is going to be a pretty lengthy post, so buckle down with your afternoon tea and let’s get started. Okay, first of all, what is Reddit? In case you’re a bit of an internet newbie like me, I’ll sum Reddit up as sweetly as possible. Calling itself the front page of the internet, Reddit is essentially a sharing forum. I think most of my audience is acquainted to twitter so I’ll try to compare it to twitter in terms of functions. When you open up the Reddit homepage, it looks like an absolute cluttered mess. I’ve been using it for a while and I still find the web page cluttered (the Reddit app though- it’s beautiful). It might be helpful to go visit Reddit while you’re reading this post so you know what I’m talking about. Anyway, there’s lots of entries on the page and they look like head line snippets. Those are basically the most “upvoted” posts of Reddit, regardless of which ‘subreddit’ they’re from. You could compare it to the “trending” category on twitter. If you click on one of those ‘headlines’, you could be transported to a post on Reddit, or to another website that has been posted to Reddit as a link. There, you could see the post and read what it’s about. Once you’re done, you could go see the comments. Reddit comments are a mess, since they can turn into forum threads of their own. Comments can be either replied to by other people or they could be upvoted/downvoted by other people. The thing about Reddit is that anyone can click and anyone can comment. There’s no such thing as a private Reddit account, like how twitter has private profiles. Moving on, subreddits are basically mini-Reddits. You could compare it to aisles in a gigantic Reddit supermarket- completely unrelated, or maybe a little related and in the same side of the store, but all under the same roof, nevertheless. There’s a subreddit for jokes, mildly interesting things, art, books, video games, fandoms, movies- anything really. Those subreddits function a little differently in their own way because they are created by Reddit users and moderated by those Reddit users. alien blue? guess what my new favorite color is! For example, there is a subreddit for blogging where there is a mega post for sharing blog links through the comments. If you create a post on the subreddit to share your blog, your post would be taken down. Similarly, if you post about things don’t come under the subreddit you’re posting to, your post will be taken down. So if you have a thing you really want to share- like a picture of your cat, it might be much better to post it on a subreddit for cats or for pets instead of a subreddit for jokes or memes. There are other minor things about Reddit. Some are fairly obvious, like upvoted=like and downvoted=dislike. The upvotes you get, whether it’s from a post or a comment are totaled to give your karma number (which is pretty useless imo). 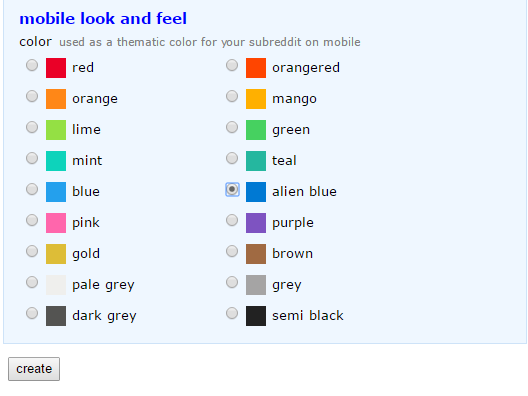 Flairs are basically tags. For example, a subreddit about med school could have lots of flairs to help differentiate users (into first year, second year, third year of med school etc) or to differentiate posts (is the post a question, a rant, a discussion, an announcement or a contest?). 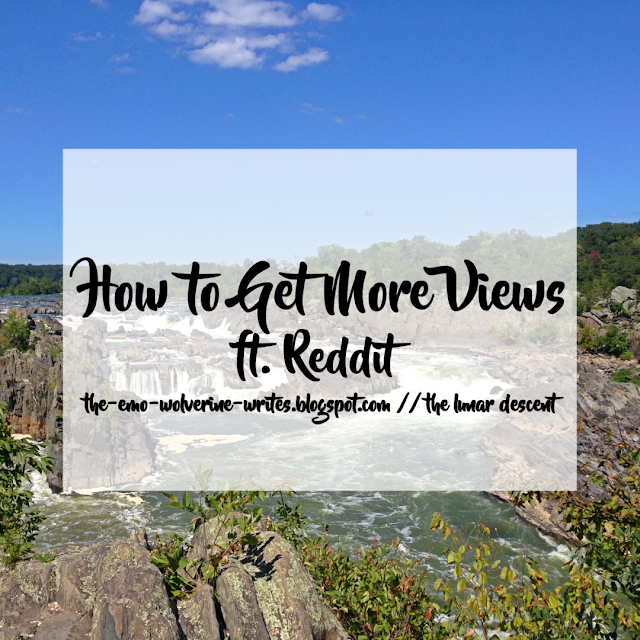 So how do you put your blog out on Reddit? 1. Pick the post you want to advertise. Make sure it’s a good post that has interesting content. People might click on your link, but if they don’t upvote it, there’s no use in the click, so you have to pick a good post. 2. Figure out which subreddit to post it to. Is it a post about cosmetic products? Search around Reddit to see relevant communities. Is it a post about a book review? See if it is relevant to post in the books community or see if the book itself has a community of fans. 3. Read the rules of the subreddit. If it says ‘don’t spam links’, see if you could present your post not as your own post, but as an article that you want to share with the community. 4. Create a link and write a catchy headline. Headlines are important after all. Try presenting your post without mentioning that it’s your own post. For example, I shared the post about “is failing really that bad?“. I titled my Reddit post as “Is it really that bad to fail an exam? Med student explains why it’s not the end of the world for you”. Catchy? I thought so. 5. Submit the post and wait. I’ve only posted my own posts on Reddit about 5 times. Out of these 5 posts, only 3 have gotten over 2 upvotes. This sounds really lame, but check out my blogger stats. 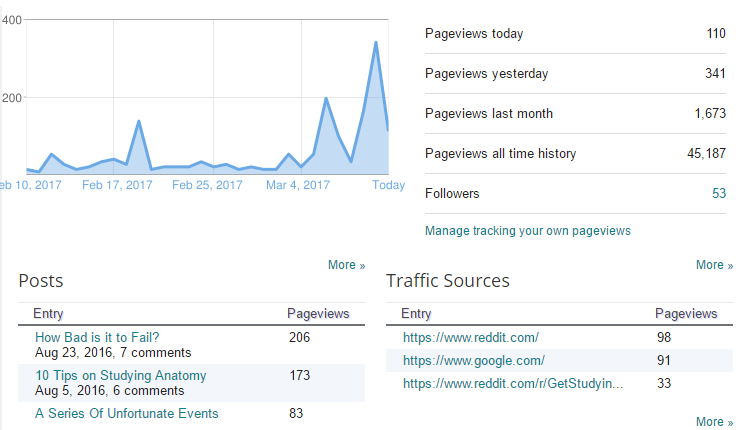 Just to be clear, the first spike after Mar 4th (Mar 6th) is unrelated to Reddit. It was the day I published the Cramm tag and had taken to twitter, tagging people left and right. It also contains the views I got from sharing an older post onto a comment pod. My posts on Reddit begin on 9th Mar, which is a point on the steep climb of the second spike. I had submitted my Reddit posts on the evening of 9th March. Of course, most of the Reddit community lives on the other side of the world, so by the time they woke up, it was 10th March for me. I didn’t post anything after that (I commented on posts, but didn’t leave links anywhere at all. Also, I have set up a privacy where my profile doesn’t reveal what I’ve been posting/commenting so people cannot track back to those posts) which leads to the decline of 11th March. (Tracking page views is really hard though. The stats pages has a lot of numbers unaccounted for and discrepancies between page views and traffic sources. I tried using Google Analytics but I wasn’t able to get a good grip on that either). Anyway! These numbers might look measly to you (I’m just a small blogger okay >.> it’s okay to be small and still talk about stats!) but considering how I get 50 views on good days, 30 on just twitter promotion days, and 10-15 on no promotion-doing nothing at all days, these are pretty big numbers. I remember checking the numbers on the night of 10th March and I was on 185 views and I was thinking “wow, will I hit 200 while I’m asleep?” and lo and behold, 341. Understandably, only the posts I shared have the most views, but some people have clicked around and looked at other posts. Considering the kind of audience on Reddit (they’re not bloggers at all and have probably never heard of bloglovin’), it’s not surprising that I have had no increase in followers. I have gotten 1 new comment. I would call this experiment an overall success. However, I would also like to add that the blogging community on Reddit seems to be dying. Most of the blogging communities are taken up by professional blogs. It’s difficult to find indie, self-published bloggers who blog just to blog, because it’s a hobby and it’s fun. I had to do something about this, so I decided to start my own subreddit. This post has gone on long enough though, so I will perhaps talk about the subreddit some other day. While we’re still talking about the subreddit, I want to say that if you’re interested in joining the infant ‘casual blogging’ subreddit community, let me know! I’d love to have partners and moderators to help launch friendly blogging to Reddit. Try Reddit out. You’ll like it. Don’t forget to check back for the official unveiling of the casual blogging subreddit! Like what you see? Consider following!